Raymond Reddington is one of the 10 most wanted criminals on the planet. He is hunted by the FBI, the CIA and Interpol. One day, he makes an unexpected decision to contact the law enforcement agents to begin cooperation with them. He offers a so-called “black list” containing the names of criminals. So, each episode is devoted to capturing one of them. Reddington’s plan is to help the FBI catch the villains in exchange for his freedom and it works well because without him they would hardly capture any of them. The main character has much more data on those felons than all the agencies. 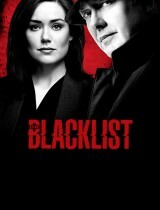 Cast: Megan Boone, James Spader, Diego Klattenhoff, Harry Lennix, Hisham Tawfiq, Amir Arison, Ryan Eggold, Mozhan M.